Zuerlein (foot) knocked down one of his two field-goal attempts Sunday in the Rams' 13-3 loss to the Patriots in Super Bowl LIII. Analysis: Zuerlein's misfire came from 48 yards out with five seconds remaining, when the game was essentially already decided. It won't diminish what was another outstanding regular season and postseason for the 31-year-old, whose 53-yarder in the third quarter was the second-longest in Super Bowl history. The Rams earned their spot in the big game in the first place thanks to Zuerlein's game-winning 57-yard conversion in overtime against the Saints in the NFC Championship Game. Zuerlein (foot) doesn't have an injury designation for the Super Bowl, Ryan Hannable of WEEI.com reports. Analysis: The Rams have scaled back their kicker's reps during practice, but there was never any real doubt about his availability for Sunday. 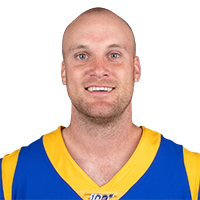 Zuerlein played through the injury in his plant foot during the NFC Championship Game, converting field goals from 48 and 57 yards to tie and then win the game. Zuerlein (foot) was listed as limited on Thursday's practice report, Rich Hammond of the Los Angeles Daily News reports. Analysis: It's unknown how rigorous the session was, but Friday will mark Zuerlein's biggest test to date with his strained left plant foot. As he's noted, he'll fit in his most kicking reps in advance of Super Bowl LIII at Friday's session, so his listing on the Rams' final injury report will be telling for his availability. Zuerlein (foot) was listed as limited on Wednesday's estimated injury report, Lindsey Thiry of ESPN.com reports. Analysis: After logging no practice reps last week, Zuerlein has made some progress with his sprained left foot, albeit during a walk-through Wednesday. Prior to the session, coach Sean McVay noted Zuerlein will be available for the Super Bowl LIII matchup with the Patriots, according to Tom Pelissero of NFL.com. That said, it remains to be seen if Zuerlein will be cleared by week's end or when the Rams release their list of inactives at approximately 5 p.m. EST on Sunday. 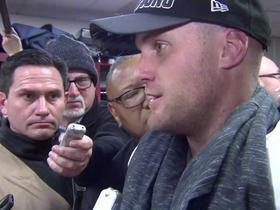 Coach Sean McVay reiterated Wednesday that Zuerlein (foot) will be ready for the Super Bowl matchup with New England, Tom Pelissero of NFL.com reports. Analysis: McVay noted the Rams will be smart about Zuerlein's workload in practice, hoping to avoid any aggravation of the injury to the kicker's plant foot. Zuerlein had no problem playing through the issue in the NFC Championship Game, with his 48-yard field goal sending the contest to overtime before his 57-yarder then ended the Saints' season. Zuerlein (foot) didn't practice Friday, Lindsey Thiry of ESPN.com reports. However, Zuerlein doesn't have a designation on the Rams' injury report. Analysis: Zuerlein donned a boot on his left plant foot in the aftermath of the NFC Championship Game. While Zuerlein's injury was described as a strain, coach Sean McVay nonetheless was confident that the kicker would be available for the Super Bowl. With the removal of his designation, Zuerlein appears to be good to go more than a week out from the season-ending contest. No matter, he still must get through another week of preparation unscathed to do so. Coach Sean McVay said Zuerlein suffered a foot strain in his plant foot during Sunday's NFC Championship Game win at New Orleans, Cameron DaSilva of USA Today reports. Analysis: During the contest, Zuerlein struck true on two point-after tries and four field-goal attempts, including a 48-yarder to send the game to overtime and from 57 yards out to lock up the victory. Zuerlein has yet to practice during the bye week, but the injury isn't expected to affect his availability for the Super Bowl on Feb. 3 against the Patriots. Zuerlein was listed as a non-participant on Wednesday's estimated practice report due to a left foot injury, Myles Simmons of the Rams' official site reports. Analysis: The Rams are in the Super Bowl because of Zuerlein's right foot, but his plant foot is afflicting him ahead of the biggest game of his career. Per Lindsey Thiry of ESPN.com, Zuerlein was donning a boot on that foot Monday. While somewhat worrisome, coach Sean McVay doesn't believe Zuerlein or any other Rams player will be at risk of sitting out Feb. 3 versus the Patriots. Zuerlein was perfect during Sunday's 26-23 overtime win against the Saints. 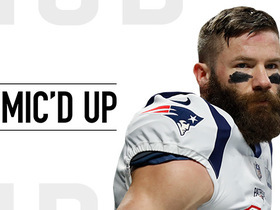 He connected on both extra-point kicks and all four field-goal attempts, including the game-tying kick from 48 yards and the game-clincher from 57 yards. 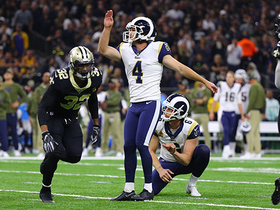 Analysis: Considering the hostile road environment at the Mercedes-Benz Superdome and what was on the line for the Rams, Zuerlein's kicking performance Sunday ranks among the best of all time. He's now hit seven of eight field-goal attempts and all five of his extra-point kicks during the playoffs, and he'll probably need to remain clutch for Los Angeles to have a shot at hoisting the Vince Lombardi Trophy. Zuerlein connected on two field-goal attempts and six extra-point kicks during Sunday's 48-32 win over San Francisco. Analysis: The veteran's solid Week 17 showing upped him to an eighth-ranked 87.1 field-goal percentage among all kickers with at least 30 attempts this season. He also hit 35 of 36 extra points and projects to have plenty of opportunities to continue his strong production in the postseason. 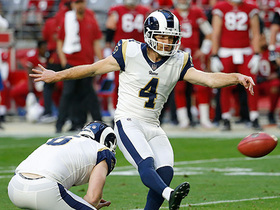 Looking ahead to 2019, Zuerlein should be viewed as one of the top kicking options in all fantasy settings. Zuerlein connected on one of two field-goal attempts and all four extra-point kicks during Sunday's 31-9 win over Arizona. His missed field goal was from 57 yards. Analysis: The veteran hasn't been as efficient this season with an 86.2 field-goal percentage, but he's had enough kicking opportunities to mitigate the decline. After all, Zuerlein has hit 21 field goals and 26 extra-point kicks through the past nine games. He continues to be one of the more reliable fantasy kickers. Zuerlein hit all three of his field-goal attempts and both extra-point kicks during Sunday's 30-23 loss to Philadelphia. Analysis: After a season-worst showing against Chicago last week, it was encouraging to see Zuerlein bounce back against the Eagles. He's now connected on 20 of 22 field-goal attempts and hit 23 extra points since returning from a groin injury in Week 7. Look for the veteran to finish the 2018 regular season strong with favorable matchups against Arizona and San Francisco on deck. Zuerlein connected on two of three field-goal attempts during Sunday's 15-6 loss to Chicago. Analysis: The Rams never found their offensive footing against the Bears, and Zuerlein had his worst fantasy showing since returning from a groin injury in Week 7. A Week 15 date with the Eagles is up next, so look for the veteran kicker to rebound with Philadelphia showing signs of weakness against playoff-caliber teams of late. Zuerlein connected on three field goals and hit all three of his extra-point kicks during Sunday's 30-16 win over Detroit. Analysis: The veteran has now hit 15 of 16 field-goal attempts and 20 of 21 extra-point kicks over his past six games. Not only is it an impressive stretch, but it affirms his status as an elite kicker in the fantasy ranks. Zuerlein projects to remain a top option with Los Angeles continuing to score in bunches and also in pursuit of the top seed in the NFC. Zuerlein hit both his field-goal attempts and six of seven extra-point kicks during Monday's 54-51 win over Kansas City. Analysis: The veteran kicker is putting up fantasy points like clockwork, as he's now connected on 12 of 13 field-goal attempts and 17 of 18 extra-point kicks through five games since returning from a groin injury in Week 7. Zuerlein is positioned to finish the season strong and should be considered a high-end option following Los Angeles' Week 12 bye. Zuerlein hit all three of his field-goal attempts and extra-point kicks during Sunday's 36-31 win over the Seahawks. Analysis: It was business as usual for the veteran Sunday. Zuerlein has now connected on 14 of 16 field-goal attempts and all 14 of his extra-point kicks through five games, and with Los Angeles continuing to score in bunches, he projects to remain a go-to fantasy option. Zuerlein connected on two of three field-goal attempts and hit all three of his extra-point kicks during Sunday' 45-35 loss to New Orleans. Analysis: Zuerlein's missed field goal was from 51 yards and his second failed attempt of the season. He still had a productive fantasy day, and with the Rams continuing to score in bunches, the veteran kicker projects to remain a solid asset in all formats. Zuerlein connected on both of his field-goal attempts and his lone extra-point kick during Sunday's 29-27 win over the Packers. Analysis: The veteran has now hit nine of 10 field goals and all eight of his extra-point attempts through three games this season. The groin injury that cost Zuerlein five contests is clearly no longer a concern, and with the Rams continuing to click offensively, he's set for a strong second half of the season. Zuerlein projects to rank among the best kickers in fantasy moving forward. Zuerlein hit all three of his field-goal attempts and each of his four extra-point kicks during Sunday's 39-10 win over San Francisco. Analysis: These were Zuerlein's first kicks since Week 1 after missing five games with a groin injury, so it's encouraging to see him finish the day in perfect fashion. Now that he's healthy, Zuerlein projects to return high-end numbers for fantasy owners. The Rams are leading the NFL in yards per game and rank third in scoring, so it's a cushy setup for the veteran kicker. Zuerlein confirmed after Friday's practice that he'll be ready to kick Sunday at San Francisco, Myles Simmons of the Rams' official site reports. Analysis: The Rams released Cairo Santos on Tuesday, so it came as a bit of a surprise when Zuerlein sounded hesitant Wednesday when he was asked about his chances of returning from the groin injury in Week 7. He's apparently feeling more confident after logging full practice participation throughout the week, setting up a return to his usual status as one of the top fantasy options at kicker. Zuerlein turned in back-to-back full practices Wednesday and Thursday, Rich Hammond of the Los Angeles Daily News reports. Zuerlein (groin) said Wednesday that he still needs to make it through the week of practice and see how he feels before confirming his availability for Sunday's game against the 49ers, Myles Simmons of the Rams' official site reports. Analysis: The Rams left no doubt about their expectation of Zuerlein returning in Week 7 when they released Cairo Santos on Tuesday. Coach Sean McVay then said Zuerlein has been cleared for Sunday's game at San Francisco, but the kicker sounded a bit more hesitant when talking with the media after Wednesday's walk-through practice. A successful practice Thursday would ease any lingering concerns. Coach Sean McVay said Zuerlein (groin) has been cleared to return for Sunday's game at San Francisco, Cameron DaSilva of USA Today reports. Analysis: The announcement was forecast by Tuesday's release of Cairo Santos, who kicked for the Rams in place of Zuerlein the past two weeks. 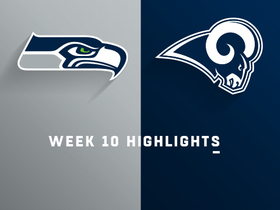 With his four-game absence behind him, Zuerlein will look to build upon his sole performance of the season Week 1, when he hit four of five field-goal attempts and all three extra-point tries in a win over the Raiders. Zuerlein (groin) likely will return Sunday at San Francisco after Cairo Santos was released Tuesday, Myles Simmons of the Rams' official site reports. Analysis: On Monday, coach Sean McVay relayed "there's a chance" Zuerlein (groin) would be able to return from a four-game absence this weekend, according to Simmons. Santos' release all but confirms Zuerlein will be back in action. As the kicker on the league's third-highest scoring offense, Zuerlein is a must-own, no matter the format. Coach Sean McVay believes "there's a chance" Zuerlein (groin) returns for Sunday's contest at San Francisco, Myles Simmons of the Rams' official site reports. Analysis: Zuerlein has been tending to a groin injury since pregame warmups before a Week 2 matchup with the Cardinals. In the meantime, the Rams have cycled through a pair of kickers, the latter of whom (Cairo Santos) has wrapped up the Rams' scoring with veritable game-winning field goals in back-to-back games. The Rams could continue to roll with Santos until Zuerlein is 100 percent. Zuerlein (groin) was officially ruled out of Sunday's game against the Broncos, Cameron DaSilva of USA Today reports. Analysis: Zuerlein progressed to limited practice participation Thursday and Friday but was unsurprisingly ruled out as coach Sean McVay indicated earlier in the week he was still a week away from returning. Cairo Santos will serve as the Rams' kicker with a nice matchup in the altitude at Denver. Zuerlein (groin) was listed as a limited participant at Thursday's practice, Rich Hammond of the Los Angeles Daily News reports. Analysis: Zuerlein had been labeled a non-participant at Wednesday's practice, with coach Sean McVay stating the same day that the kicker is probably another week away from playing. While McVay's comment likely still holds true, Zuerlein's advancement to limited participation tentatively keeps a sliver of hope alive for him to return to action Sunday against the Broncos. If Zuerlein is forced to miss a fourth straight contest with the groin injury, Cairo Santos would serve as the Rams' kicker. Coach Sean McVay said Wednesday that Zuerlein (groin) is probably another week away from returning, Myles Simmons of the Rams' official site reports. Analysis: With Zuerlein seemingly headed for a fourth consecutive absence, Cairo Santos is in line to kick for the Rams in Sunday's game at Denver. It would have been a nice spot for Zuerlein to return, as he would benefit from the altitude as well as a matchup with a struggling team. The Rams have another nice draw in Week 7 against the injury-riddled 49ers, but the schedule then gets tough with matchups against the Packers, Saints, Seahawks and Chiefs in Weeks 8 through 11, followed by a bye in Week 12. Zuerlein (groin) may return for a Week 6 game in Denver, Sam Farmer of the Los Angeles Times reports. Analysis: The Rams had originally been hoping to get their kicker back for Week 5, but he ended up missing a fourth consecutive game. Given his strong track record along with the impressive state of the Rams offense, Zuerlein will be an elite option at his position whenever he's able to play again. Zuerlein (groin) has been ruled out for Sunday's game in Seattle, Rich Hammond of the Los Angeles Daily News reports. Analysis: Coach Sean McVay said Monday that Zuerlein could return from a two-game absence and play in Week 5, but after re-evaluating the matter, the team decided the prudent move was to hold the kicker out for a another contest. Sam Ficken was released earlier this week after performing ineffectively in Zuerlein's stead, so kicking duties will now fall to Cairo Santos in Week 5. The Rams signed the former Chiefs and Bears kicker on Tuesday. Coach Sean McVay said Zuerlein (groin) may return Week 5 at Seattle, Rich Hammond of the Los Angeles Daily News reports. Analysis: Zuerlein seems to be progressing a bit faster than expected, though he's far from a lock to make it back. Given his status as an elite kicking option in the fantasy world, it's a situation worth monitoring Wednesday when the Rams release their first injury report of the week. Rams head coach Sean McVay said Monday that Zuerlien (groin) would be out "at least a few weeks," Rich Hammond of The Orange County Register reports. Zuerlein (groin) is not expected to be placed on injured reserve at this point, according to Ian Rapoport of NFL Network. Analysis: The Rams could ultimately decide to place Zuerlein on injured reserve at some point if his health does not improve, but the early indication is that his setback is not a long-term injury. The Rams do have at least mild concern about Zuerlein's setback though, as the team is expected to re-sign fellow kicker Sam Ficken at some point this week. Coach Sean McVay said he isn't sure how much time Zuerlein (groin) will miss, Rich Hammond of the Los Angeles Daily News reports. 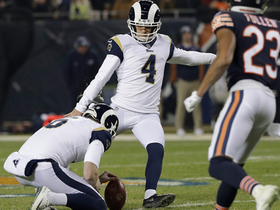 Analysis: McVay suggested the Rams may sign another kicker, hinting that Zuerlein is in danger of missing at least one game. The team turned to punter Johnny Hekker for a chip-shot field goal and a PAT after Zuerlein suffered the groin injury during Sunday's 34-0 win over the Cardinals. Zuerlein (groin) won't return to Sunday's game against the Cardinals, Lindsey Thiry of ESPN.com reports. Analysis: In Zuerlein's absence, punter Johnny Hekker took over the team's kicking duties Sunday. Look for the Rams, as well as a couple of other NFL teams that dealt with kicker issues in Week 2, to look into free agents in the coming days. Available options include, Kai Forbath, Dan Bailey, Cairo Santos, Roberto Aguayo and former Raider Giorgio Tavecchio. Zuerlein suffered a groin injury during Sunday's game against the Cardinals, Lindsey Thiry of ESPN.com reports. Analysis: With Zuerlein hurting and questionable to return to the game, punter Johnny Hekker figures to be the team's emergency kicker. Zuerlein connected on four of five field-goal attempts and converted all three extra-point tries during Monday's 33-13 win over the Raiders. Analysis: Zuerlein was on pace for historic numbers before a herniated disc cut his 2017 campaign short, so it's encouraging to see him open 2018 with a big game. Additionally, his setup could be even better this year. The Los Angeles defense projects to tilt field position in the Rams' favor a lot, and head coach Sean McVay is willing to attempt long field goals. For what it's worth, the 46-yard attempt he missed Monday was off the infield dirt at the Oakland Coliseum. Zuerlein connected on two of three field-goal attempts and made his lone PAT in Saturday's 19-15 preseason win over the Raiders. Analysis: Zuerlein missed wide-right from 48 yards out late in the first quarter, but he rebounded with second-quarter makes of 42 and 28 yards. With last December's back surgery completely behind him, Zuerlein looks poised to assume kicking duties for one of the league's most explosive offenses. Sam Ficken worked the second half and converted a pair of short field goals, but he's little more than an insurance option. Zuerlein (back) has been a full participant during training camp, Myles Simmons of TheRams.com reports. 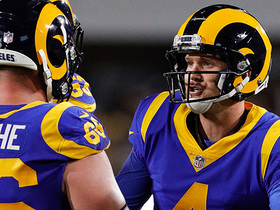 Analysis: Zuerlein, who was a limited participant during the Rams' mandatory minicamp earlier this summer, has returned to full strength after landing on the IR at the end of last season due to a back injury. He made all six of his field-goal attempts during Monday's practice, and potential fantasy owners shouldn't have any concerns with his health at this point. Zuerlein (back) was a limited participant in June's mandatory minicamp, Myles Simmons of the Rams' official site reports. Rams coach Sean McVay said Zuerlein is making good progress in his recovery from December back surgery, Gary Klein of the Los Angeles Times reports. Analysis: McVay doesn't expect to have a detailed update until the beginning of OTAs, but he presumably still expects Zuerlein to be ready for the start of the season, as relayed back in February. An elite kicker in both fantasy and real-life terms last year, Zuerlein connected on 38 of 40 field-goal attempts in 14 games, going 12-for-12 from 40-49 yards and six of seven from 50-plus. Head coach Sean McVay recently told ESPN LA 710 that he expects Zuerlein (back) to be ready for the start of the upcoming season. "Based on the doctors and everything, and even the way Greg was feeling as soon as he alleviated that pressure with the surgery, we're very positive in terms of Greg being ready to go," McVay said. Analysis: Zuerlein played through some sort of back injury last season but was shut down after 14 games and underwent surgery in mid-December. The NFL's highest-scoring player in 2018 was forced to miss the Pro Bowl as a result and seems likely to be sidelined for a significant portion of the offseason program as well. Zuerlein is scheduled to undergo back surgery Thursday, Vincent Bonsignore of the Los Angeles Daily News reports. Zuerlein has been placed on injured reserve due to a back injury, with the Rams signing Sam Ficken as a replacement, Adam Schefter of ESPN reports. Zuerlein made field goals from 36 and 31 yards in Sunday's 42-7 win over the Seahawks, but missed one of his five extra-point tries. Analysis: Zuerlein's two missed PATs this season have occurred over the past three games, giving him something to fine tune as he prepares for the playoffs. Despite those miscues, his 158 total points still comfortably lead the league. Zuerlein did not attempt a field goal but made all five of his extra-point tries in Sunday's 43-35 loss to the Eagles. Analysis: Zuerlein's five points gave him just his fifth single-digit performance of the campaign. Although the Rams have a tough matchup in Seattle this Sunday, Zuerlein's league-leading point tally suggests he's due for a rebound. Zuerlein connected for four field goals (56, 20, 24 and 41 yards) and made both his point-after attempts during Sunday's 32-16 win over Arizona. Analysis: Zuerlein has now kicked multiple field goals in 10 of 12 games and is up to 36 for the campaign. The league record of 44 is held by David Akers, who accomplished the feat for San Francisco in 2011, and that mark is now in serious jeopardy. Zuerlein is obviously locked in as a high-end fantasy asset while chasing a historic season. Zuerlein converted four of five field-goal attempts and both of his extra-point tries en route to 14 points in Sunday's 26-20 win over the Saints. Analysis: Zuerlein's only miss came from 63 yards as the first half expired. Following last week's one-point outing, the league's leading scorer certainly bounced back well. Zuerlein did not attempt a field goal but made his lone extra-point try in Sunday's 24-7 loss to the Vikings. Analysis: Zuerlein entered Sunday having tallied 15 points in three straight games, but a stingy Vikings defense restricted him to just one scoring opportunity. Still the league's scoring leader, Zuerlein will hope he's called on more often in this Sunday's game versus the Saints. Zuerlein converted all four of his field-goal attempts and all three of his extra-point tries en route to 15 points in Sunday's 33-7 win over the Texans. Analysis: Zuerlein continues to be an outstanding fantasy asset, as he's now tallied 15 points in three straight games. The league's leading scorer, Zuerlein boasts 23 more points than the next closest kicker. Zuerlein converted all three of his field-goal attempts and all six of his extra-point tries en route to 15 points in Sunday's 51-17 win over the Giants. Analysis: Zuerlein and the Rams offense have worked hand in hand thus far, allowing both he and the team to rank first in scoring league-wide. With just one missed kick all season, Zuerlein is averaging a remarkable 12.4 points per game. Watch and hear players react to Los Angeles Rams wide receiver Brandin Cooks' would-be touchdown in Super Bowl LIII against the New England Patriots. 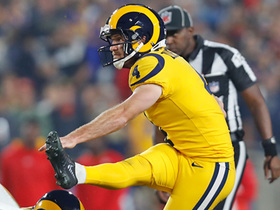 NFL Network Insider Ian Rapoport reports the latest on the status of Los Angeles Rams kicker Greg Zuerlein ahead of Super Bowl LIII. Los Angeles Rams kick Greg Zuerlein talks about what he was thinking during his 57-yard game-winning field goal in the NFC Championship Game. Los Angeles Rams kicker Greg Zuerlein's 57-yard field goal hits the upright to close the first half. 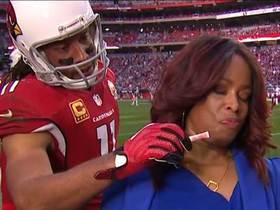 Arizona Cardinals wide receiver Larry Fitzgerald sneaks in behind FOX sideline reporter Pam Oliver and tries to give her smelling salts before her report. Los Angeles Rams kicker Greg Zeurlein's 40-yard field goal attempt bounces off upright. Los Angeles Rams kicker Greg Zuerlein sends his first point after attempt wide left. Los Angeles Rams kicker Greg Zuerlein boots a 56-yard field goal for his 26th field goal of 50 yards or more, which ties a franchise record.